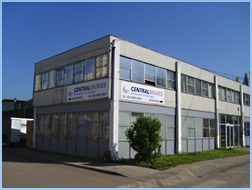 Central Moves Based in the UK are able to help Individuals, Families and Businesses Move to Canada. Moving to Canada.biz C/O Central Moves Ltd are specialists in moving furniture and personal belonging to all regions in Canada. A Door to Door Room to Room service from any location in the England, Wales, Scotland and Ireland with Delivery to all states in Canada – British Columbia, Alberta, Saskatchewan, Manitoba, Ontario, Quebec, Nunavut, Northwest Territories, Yukon, Prince Edward Island, New Brunswick, Nova Scotia, Newfoundland & Labrador. Central Moves take great care in insuring your personal effects are handled with care and are able to deal with the most difficult of situations, knowledge gained by years of experience in the removal industry. Working closely with the Canadian Association of Movers Central Moves are able to keep up to date with the latest Removal Industry in Canada, along with the latest news on the Canadian Market. Central Moves are proud to be members of the BAR British Association of Removers, who run a strict policy. Moving to Canada can be an exciting time for you and your family. The challenge of adopting a new position combined with the excitement of developing new acquaintances, exploring your new environment and adopting a new culture can make your move to Canada an extremely enjoyable experience. Central Moves Removal Company will appoint you, your own Personal Move Coordinator that will help with every aspect of moving to Canada.